Known to almost everyone, Microsoft rolls out its patches on Tuesday. Unfortunately, this round of patches produced unexpected results… problems. Therefore, Microsoft has yanked the patch KB2949927, and has also issued a statement urging users to uninstall the patch if it was installed. However, this wasn’t an isolated issue as 4 other patches turned out to be botched as well. 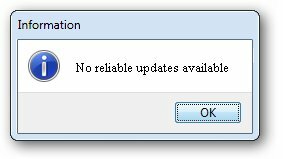 KB 3000061 – the kernel mode driver update, fails to install in some circumstances. KB 2995388 – Windows 8.1 patch rollup known to have well documented conflict with VMware. VMware recommends uninstalling the patch. According to Microsoft, the patch KB2949927 has been removed from the Download Center. They are presently researching the problem and will post more information on this problem as it becomes available. Their recommendation is to uninstall the update if you are experiencing issues. Why are Macs safer than PCs? Do Macs get viruses like PCs do? Are Macs safer than PCs? What makes the security on a Mac so different than that of a PC? Truth be told… Macs also get viruses. Now wait a minute, you’re saying, “But I have never got one!” Well, the reason you haven’t got one yet is that Macs are inherently safer than PCs due to their programming. Although they are capable of getting viruses, they are generally safer than PCs. Viruses (or malware) have one purpose, and that it to make money for the creator (hacker). Back in the day when viruses started appearing in large numbers (the early 80’s), they were primarily transferred via infected floppy disk. However, as we moved from the 80’s into the 90’s, email became the primary virus transport medium. Hence, the email virus. This type of infection scheme was very cumbersome. It required mass emails to be sent continuously, in the hopes that someone would be naïve enough to click on the attachment, thus infecting their machine. However, the public got smart to this, and hackers had to find a different approach. The infected website scheme was born. With this scheme, hackers could infect large numbers of unsuspecting users by compromising one (1) website. History lesson aside, there are mainly 2 reasons why Macs are generally safe than PCs. With Windows based machine taking over half of the entire PC market share, it is expected that malware developers would go for the Operating System that yields the “biggest bang for the buck”. This in turn translates to less viruses being developed for the Apple platform. Macs are generally much harder to Hack than Windows PC. This does not mean that one is safe from viruses, it simply means that that chances of getting infected on a Mac are MUCH lower than on a PC. This fact lowers the numbers of viruses suitable for the Apple Platform even further. Although the odd virus is in fact developed for the Mac OS, the resulting outbreak doesn’t seem to gain much traction as Apple does a fairly good job of keeping their Operating System patched and up to date. In the end, viruses are going to be around for a while. If you want to stay ahead of the curve at least for the next little while, I would look at buying a Mac. On the flip side, if you are technically savvy, and like trying new things, Linux might be the operating system for you. It essentially takes computing safety to an entirely different level.